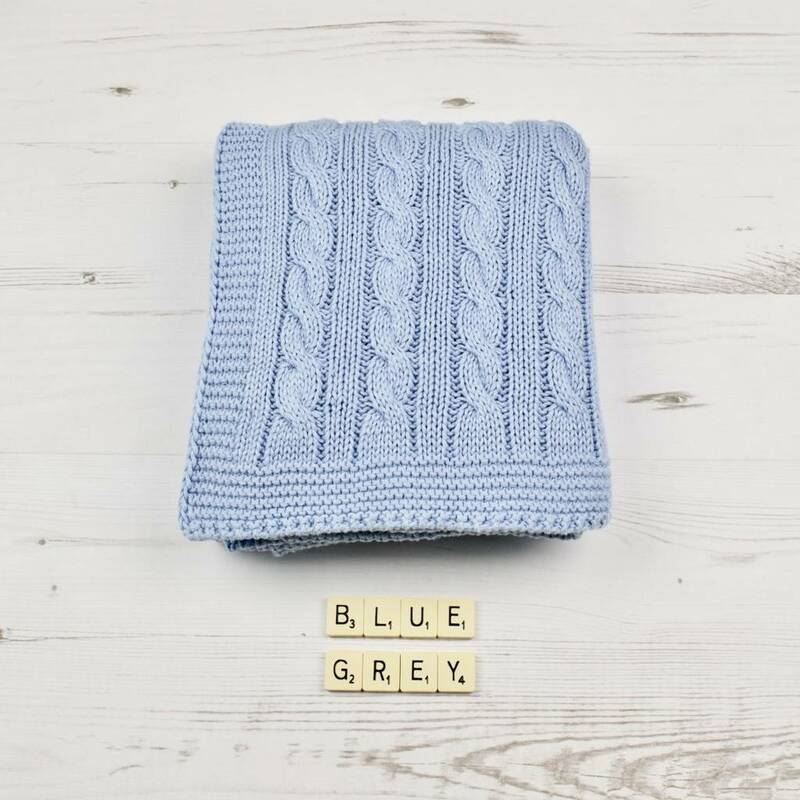 Baby boys beautiful knitted blanket in cable design. 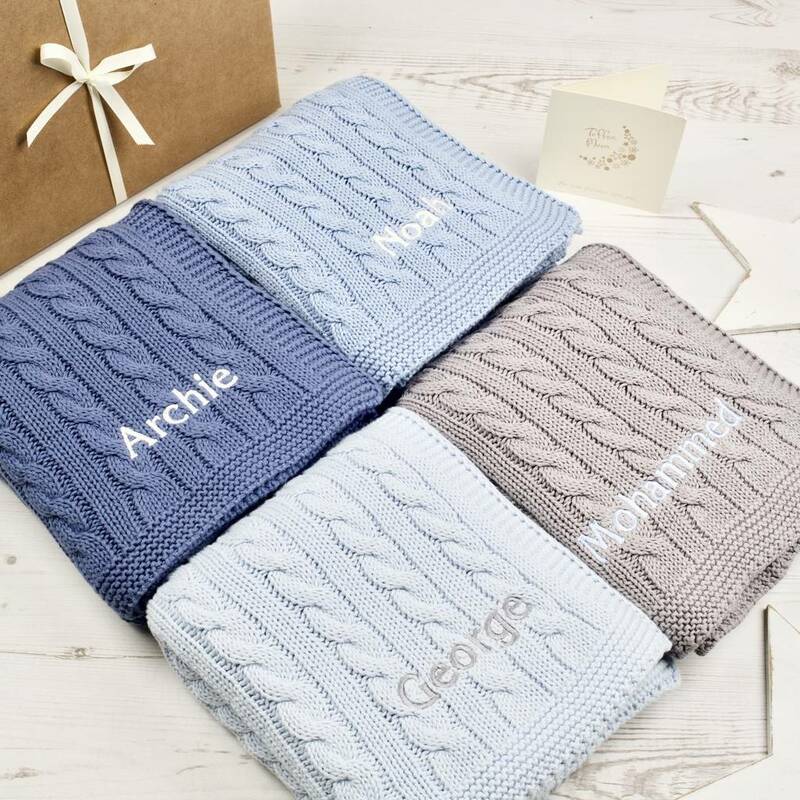 Our beautful super soft cotton knitted baby boys blankets are great in these chilly winter days. 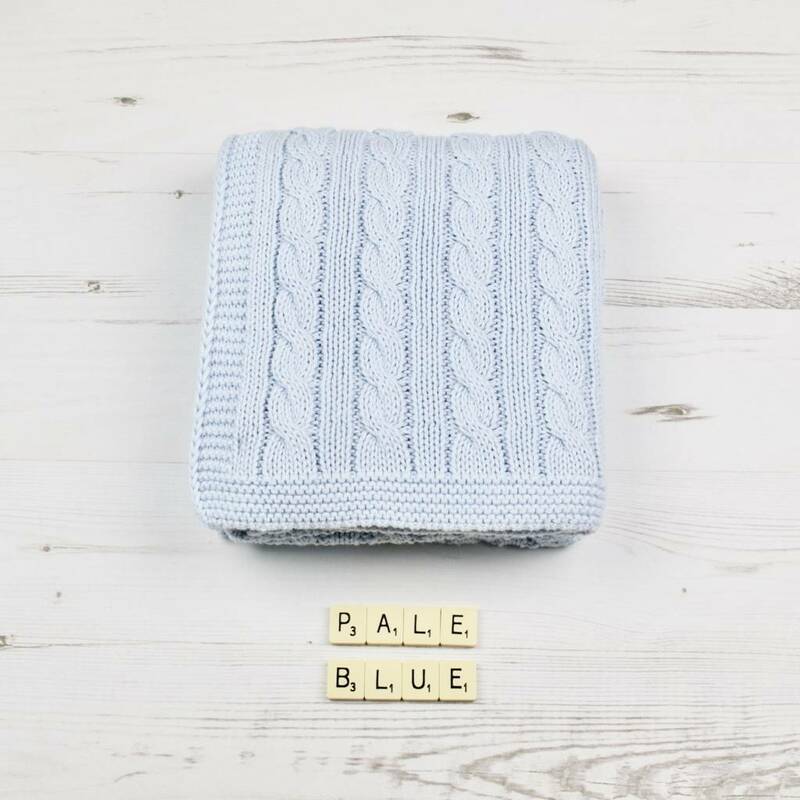 The generous size makes the blankets ideal for prams or cots. 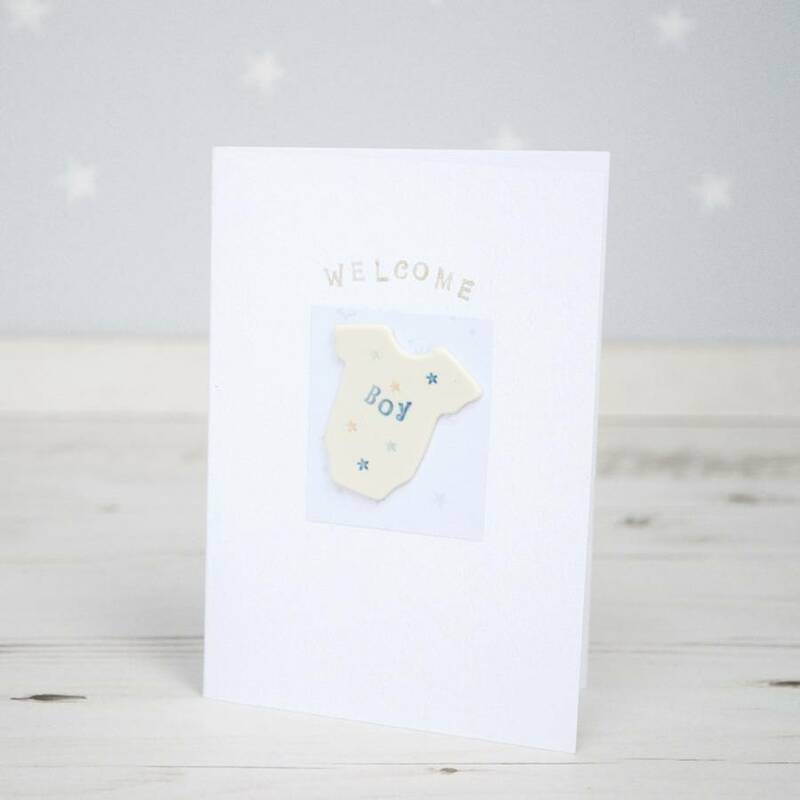 The easy washcare is a must for any new Mum and will make it practical to use again and again. 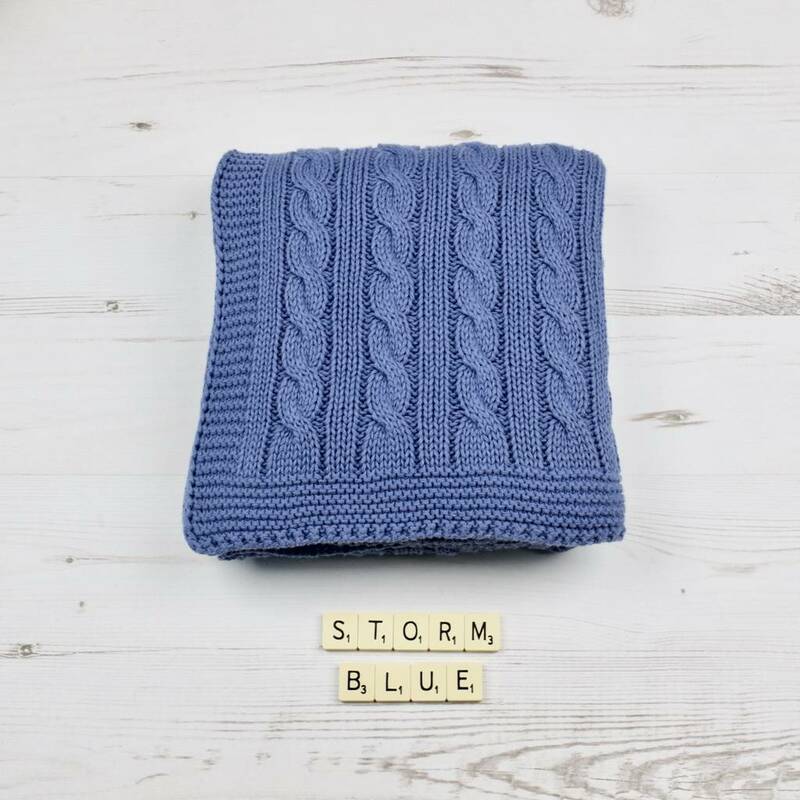 It will become one baby's keepsake heirlooms. 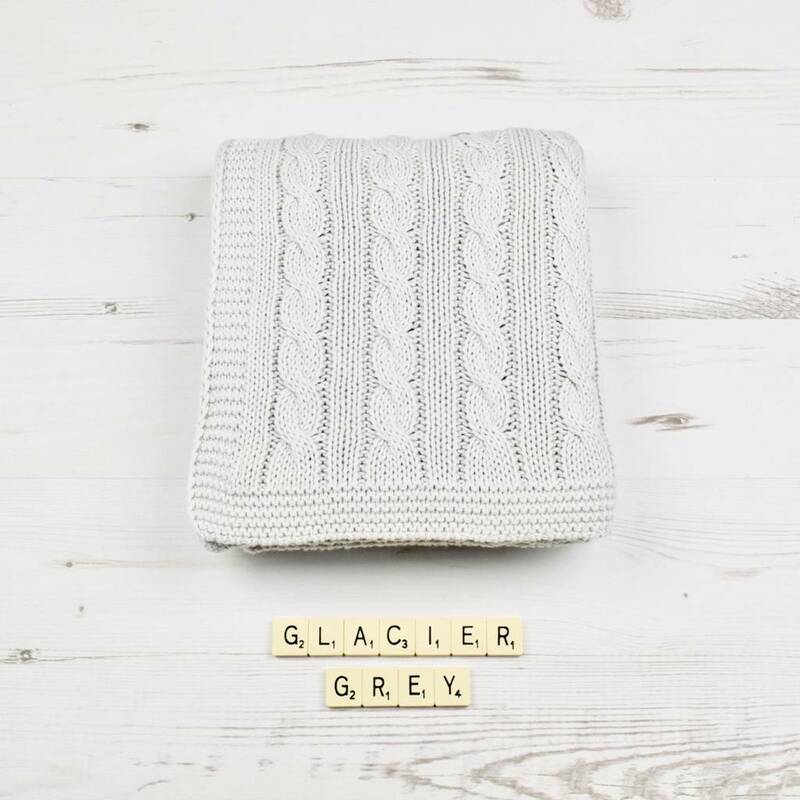 If you want to enhance the blanket further as a gift why not make it into a set and add one of our matching cable knit hats. 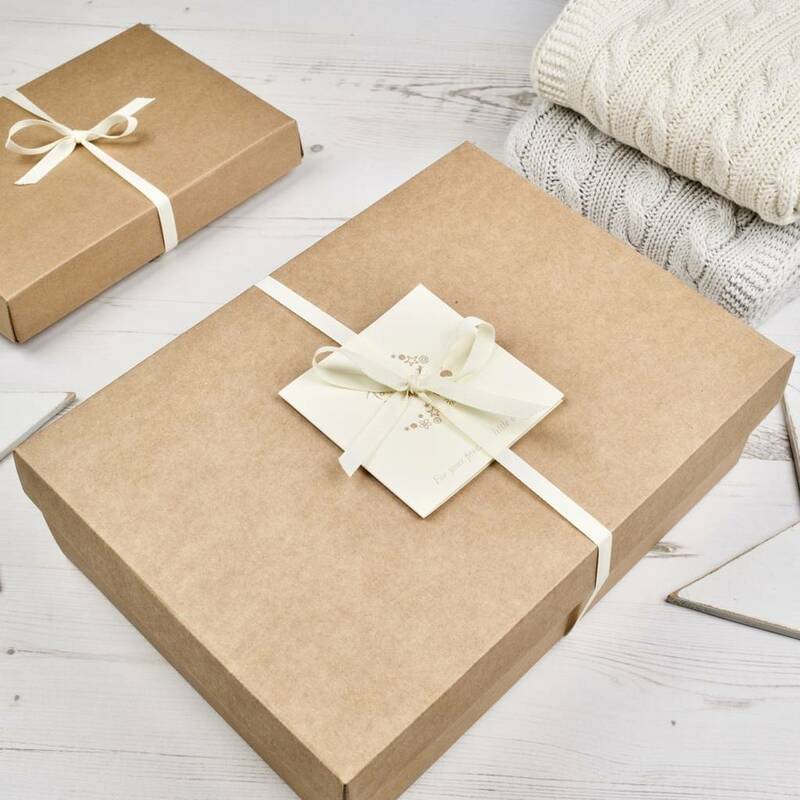 Can be gift wrapped free in a luxury organza bag and hand written card or for a special gift you can upgrade to our brown craft gift box. 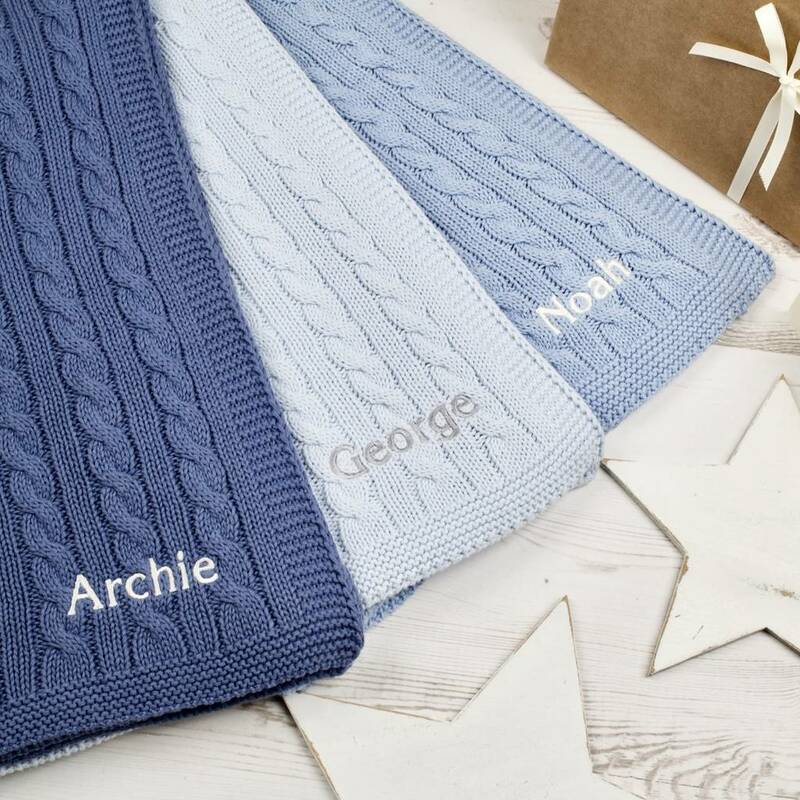 We also offer a personalisation service on our cable blanket. 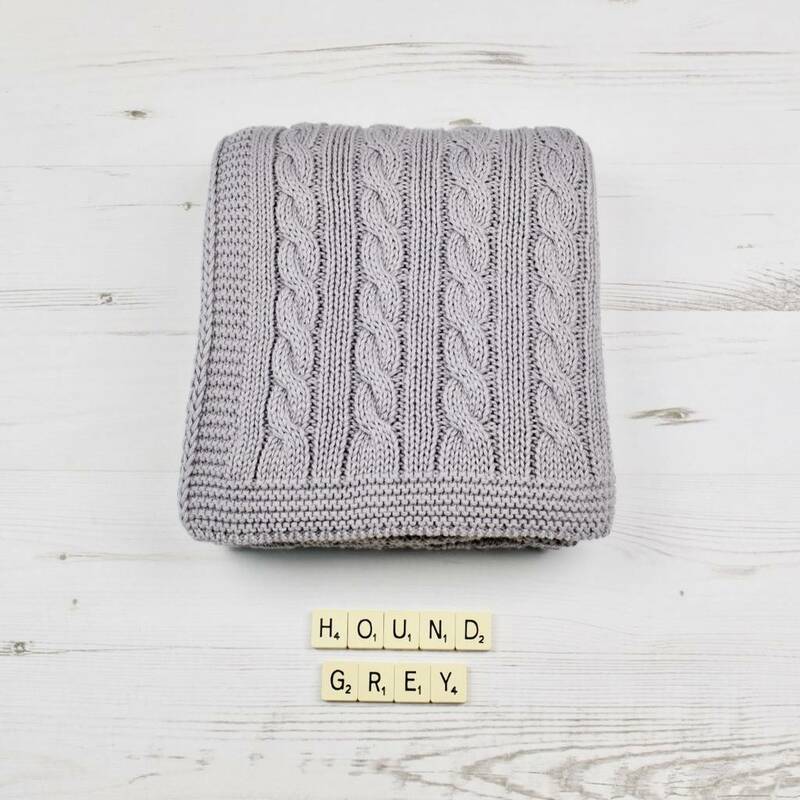 See our full product range. 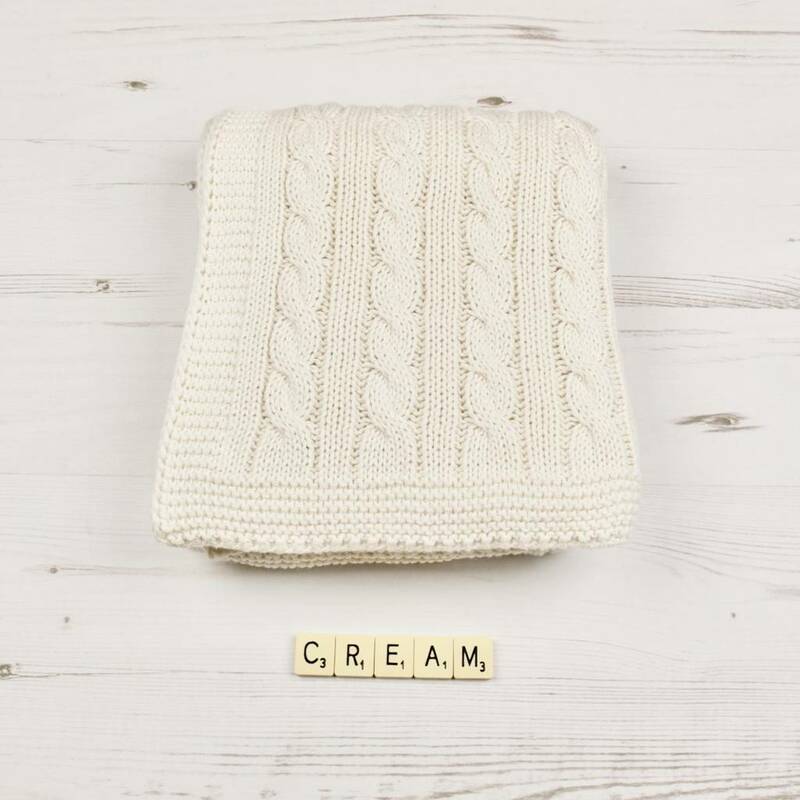 Our Toffee Moon baby blankets are made from 100% cotton and are machine washable at 30 degrees. 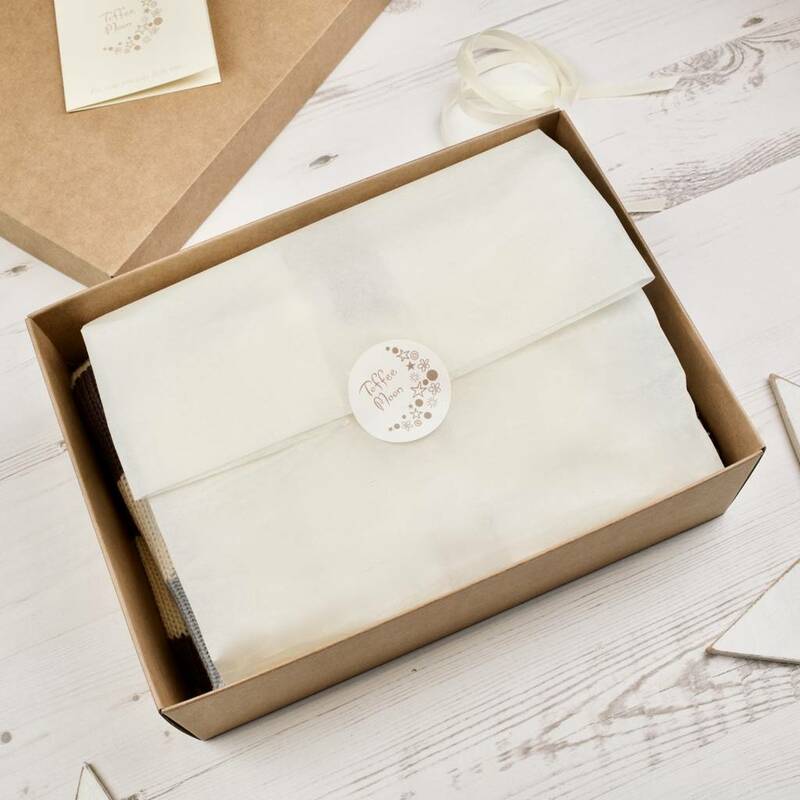 This product is dispatched to you by Toffee Moon.